This article lists the different types of electric / green / environmentally friendly cars available in the UK. We all want to help the environment, so we thought we would make it easy for you to find an environmentally friendly electric car. This is free guide to the different types of electric cars in the UK from Types.org.uk. Note: if you are in the UK make sure you read about the Plug-in car grant on the DfT website here. There are now many different types of green cars available to buy from both independent motor companies and the larger car manufacturers such as Toyota, Ford, Renault and Volvo. The Nissan Leaf is fully electric, no petrol, zero emissions with a range of up to 160km. “LEAF” is an acronym for “Leading, Environmentally friendly, Affordable, Family car“. 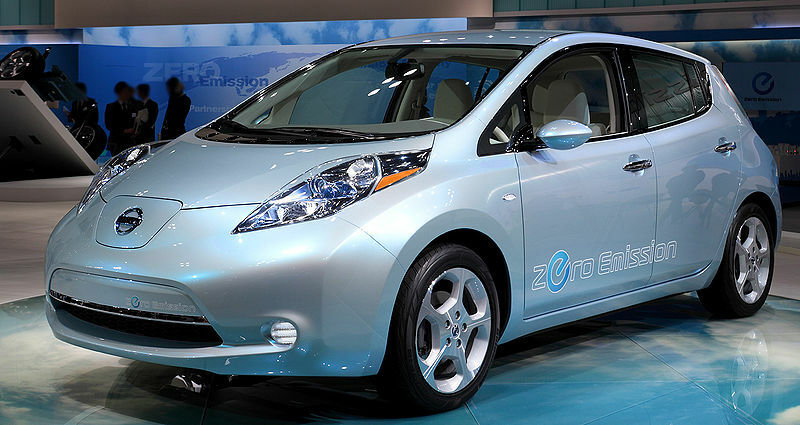 The Nissan Leaf was first released in the UK in March, 2011. At time of writing the price in the UK is £30,990. The official range for the Nissan Leaf is 160km though the average was found to be 117km, still high for an electric car. 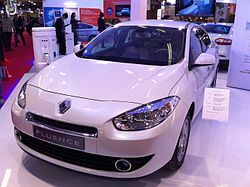 Renault’s new Fluence Z.E. is set to be the cheapest mainstream electric car available in the UK, retailing at £17,850 – after the £5,000 “Plug-In Car Grant” subsidy. “Z.E.” stands for “Zero Emissions”. The all electric car is due to go on sale next year. The NICE Mega City Electric Car is a small city sized electric car that can go 60-80 km between charges. The REVA Electric car can travel up to 80km between charges. Made by REVA India. A hybrid version of the Toyota Prius is due to be released in the UK in 2012, and the government have announced consumers will be able to claim the Plug-in car grant for this car.